I spoke to Surefire today and with the holidays, shipping is taking longer than expected. I should start receiving them next week. They also said they ran 2000 rounds through with no problems. 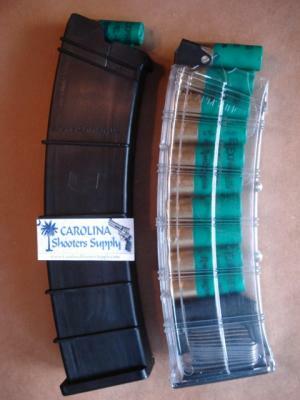 The mags are 13.5" long and actually hold 13rds. 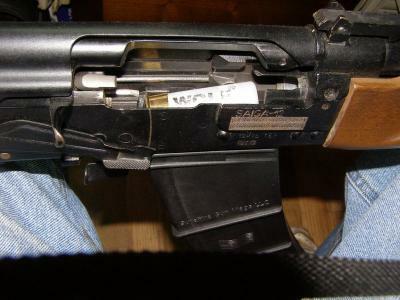 They are still selling it as a 12rd because with the bolt closed it is hard to get the mag in the gun loaded with 13. With the bolt open it slips in easily loaded with 13. They are still calling it a 12rd mag. They are in full production right now and we will start shipping the early pre-orders out next week and should be caught up on all orders to this point by the first week of Jan. Yes the mag is long at 13.5", but can be cut down easily if you prefer it shorter using the existing floor plate and cutting below another ridge. I will post a picture as soon as I am able to. Anybody that has ordered from me will receive an email when it is your turn for your order to ship. Please hurry, Santa. The suspense is killing me! I won't be able to get back and test mine out until the end of February...but I highly look forward to knowing all 4 of them will be home waiting for me, haha. And how about the 10 rounders? No date yet. I will take some time to fill all of the current orders from distributors on the 12rd mags. will these be black or clear? Santa came a little early. 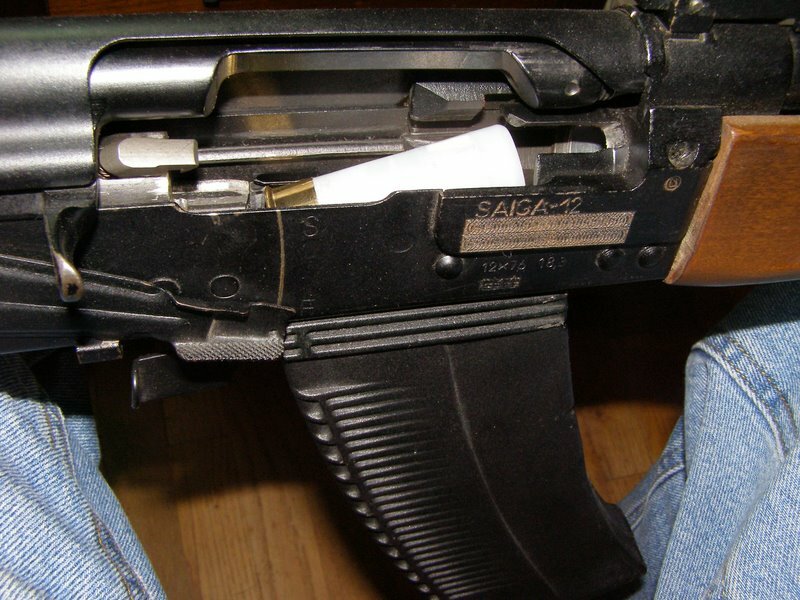 I received 2 sample Surefire Saiga 12 mags today. I am really impressed with them. They are very solid and smooth feeding. I inserted them into 6 different Saiga 12's and they fit very tight in 5 of the six. No movement at all. The 6th was extremely tight and after taking it in and out a few times it fit perfect. They actually hold 13 rds. I had no problem inserting them with 13rds loaded on a closed bolt with my stock guns. Some people may have trouble inserting them fully loaded on a closed bolt and that is why they are still calling them a 12rd magazine. They are a little long, but can easily be cut down to 10, 8 or 5 rds if desired. Looks like it will be very easy to modify these to fit a magwell. Here is a picture next to a 10 rd AGP. I will shoot 200 rds through them tomorrow and give a report. Looks great! Can't wait to get my order. WOW! Those things are huge! I have two on order, can't wait to get them. do they take 3" shells? NM, found a post where testing was done with 3" shells..
Greg, Just ordered a pair of them on your website! Looking forward to trying them out. So far I am very happy with my x39 Surefire mags, I'm sure these will have similar results! PS. How is it looking for a shipping date on this order I placed today? If everything ships in the way they are telling me, I should be caught up by the first week of Jan. You will get an email notice when it's your turn. 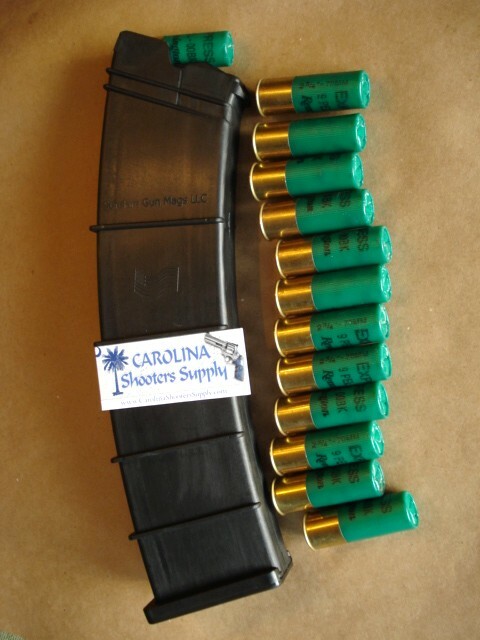 Can you load one of these new mags into your Saiga have the bolt locked back I'd like to see the feed angle, is it the same as OEM mags? I took some pics earlier. I'll post them here in a minute. John, the top round is aimed a little lower in the surefire, but as you know, the more shells you stack up the lower the front goes on the top shell. Here it is with 8. Thanks that's what I wanted to see, looks like they should feed fine, not too low or too high that first picture I have had jams where the end of the shell hits the front the guide up top and it sticks the shell. I have also had shells hit the bottom of the barrel and stop dead in their tracts. 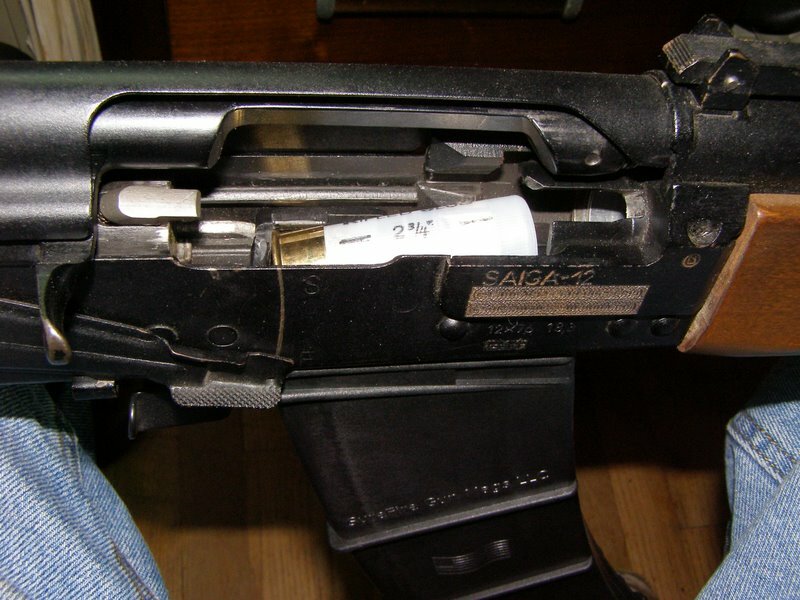 Looks like the feed angle is a bit lower on the Sure-Fire mags that's fine. I just wanted to see that before I decied to buy a few. awesome! heading over to CSS to order some now. Woo hoo! Santa arrived today with 2 mags. I ordered two this morning I can't wait till they get here. Approximately what day's orders are being shipped now if you don't mind me asking? I ordered on 12-23. I'm just trying to plan for a range trip in a couple weeks. We are almost finished with the 12/19 orders. I am being told that we should have a large amount in next week and hope to have most of the orders caught up by the end of the week. awesome, thanks for the update Greg. My 20 mags arrived on Wednesday...I can't wait to head out to the range...thanks again. We just started filling the orders of 1/1/09 today. Everything up to this date have been shipped. We should be close to caught up this week. There will be lots of orders being shipped Monday and Tuesday. I received my mags and stock yesterday, looking to get to the range this weekend. got my mags today. thanks gregg. i only ordered 1 to start with, got to thinkin about it, and called back and gregg was nice enough to add ther rest to my origional order. fast shipping to--although i am only 1 state away. 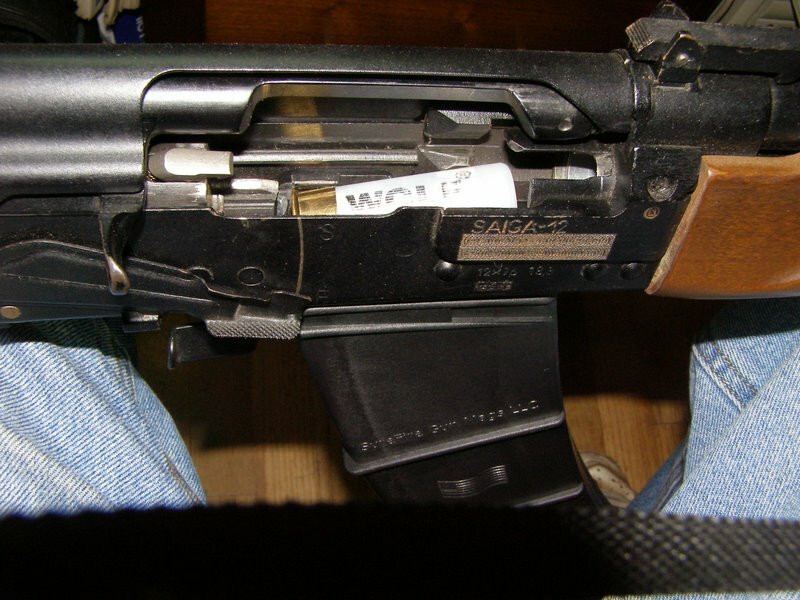 had to file down the lip that locks the mag in (on the back of the mag) other than that it fits like a glove. i really like the fit of these mags.